If you have missing teeth, you do not have the same ability to chew that you used to. You might even feel embarrassed about showing your smile and are ready to take action. 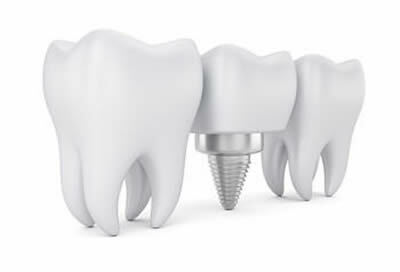 At O Dental, we offer the most advanced solution for teeth replacement available: dental implants. This modern approach to tooth replacement has high success rates and allows you to enjoy the benefits of a natural smile. An artificial fixture is placed in the jaw bone to replace a tooth root. Once healed, a crown, bridge or denture is placed on this titanium implant. Dentures and bridges affect your teeth and gums or may not work well for your particular case. A dental implant is a superior option with success rates that are over 95%. Most people are well-suited to receive dental implants. They may not work for people with medical conditions such as uncontrolled diabetes, bone disease or immune suppressive disease. If you smoke, the success rate drops to approximately 10%. We will be happy to evaluate whether you’re a candidate. Contact us today to get started! Any surgical or invasive procedure carries risks. Before proceeding, you should seek a second opinion from an appropriately qualified health practitioner.